Thermodynamic control or kinetic control? However, since the pi clouds of alkenes are perpendicular to each other, the resonance factor will be reduced. Till the time resonance occurs, water would have already attacked the positive charge centre and hence the thermodynamic-controlled product will be favoured. I don't get this thing! 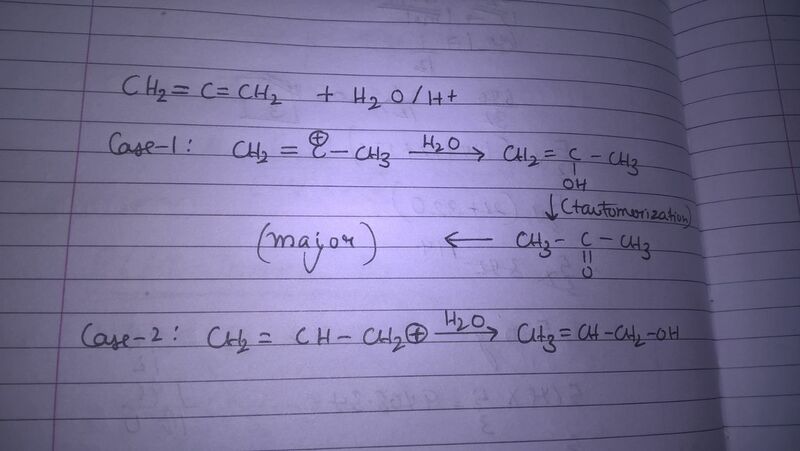 Browse other questions tagged organic-chemistry stability resonance or ask your own question.